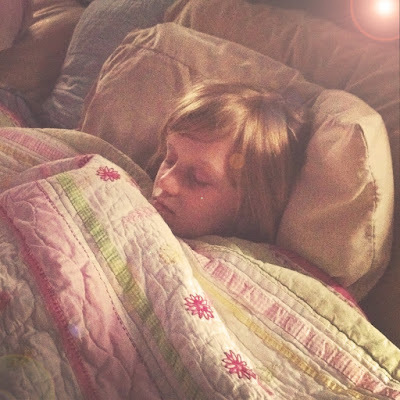 Shelby came home sick from school. 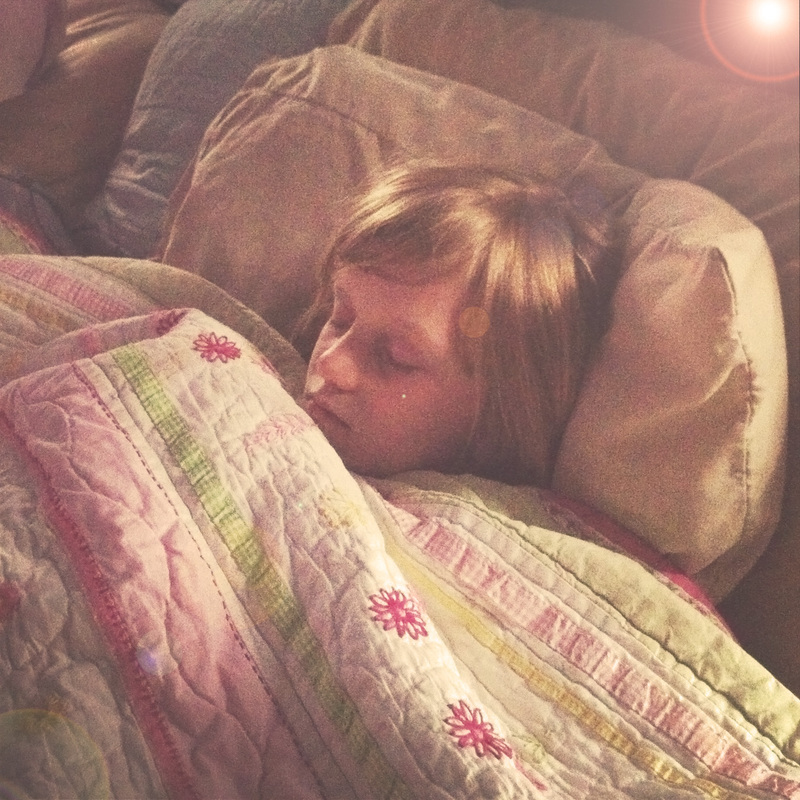 She woke up feeling sick on Monday and we "thought" she'd be okay, but she lasted less than an hour before it was clear she needed to come home. After tucking her into Mommy and Daddy's bed, she was asleep in five minutes. Clearly, she needed some serious rest. 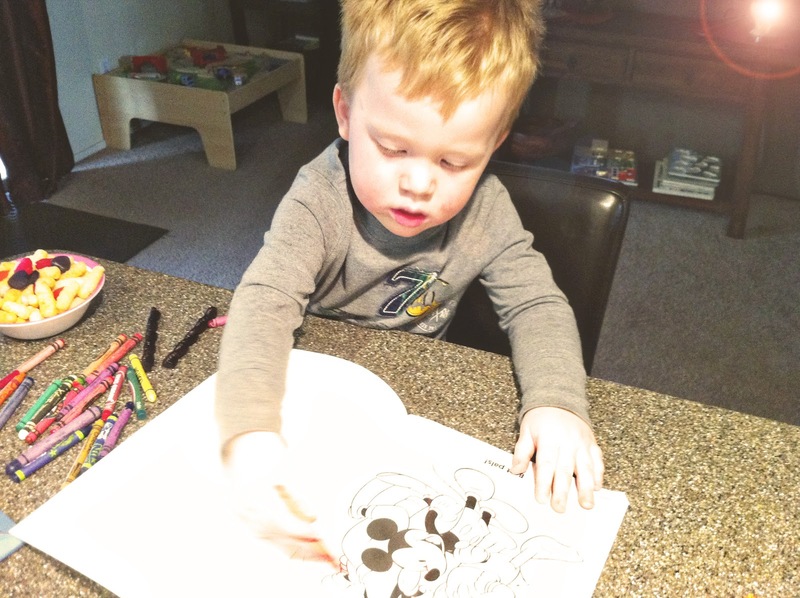 Cooper has developed a love of coloring. He especially is interested in coloring when Shelby is sitting up at the counter doing her homework. I think he's feeling left out of all the action, so he has been doing his own "work" along side her. It's fun to watch him point out the different colors he knows and to very deliberately color the different pictures. Mike is swamped at work and I'm finally home for a few weeks, so we're settling back into our "mom is home" schedule. I am hoping to get a lot more exercise in over the next few weeks ... though I made my February mileage goal (50 miles) I am way down from January. My goal for March is 75 miles and I'd really like to do more like 100 miles.